A bicyclist was attacked and injured by three unknown assailants in Elk Grove in an early afternoon assault. 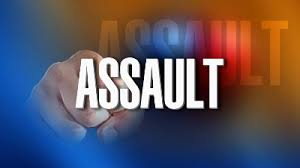 On the early afternoon hours of Friday, February 17, the victim was riding his bicycle near Michener Drive and West Stockton Boulevard when he was involved in a verbal altercation with two unknown suspects who were in a passing vehicle. The driver of the vehicle, (S-1) stopped the car, and the other two exited the vehicle and struck the victim several times with their fists then fled in a white vehicle. The victim relocated to a nearby park and saw S-1 and S-3 drive by several minutes later. Two of the suspects exited the vehicle and confronted the victim, and the struck the victim with a wooden stick. The victim was able to ride away on his bicycle and was later transported to the hospital by a relative. All three suspects were all described as Middle Eastern males in their 30’s. Elk Grove Police was contacted after the victim sought medical treatment at an area hospital.